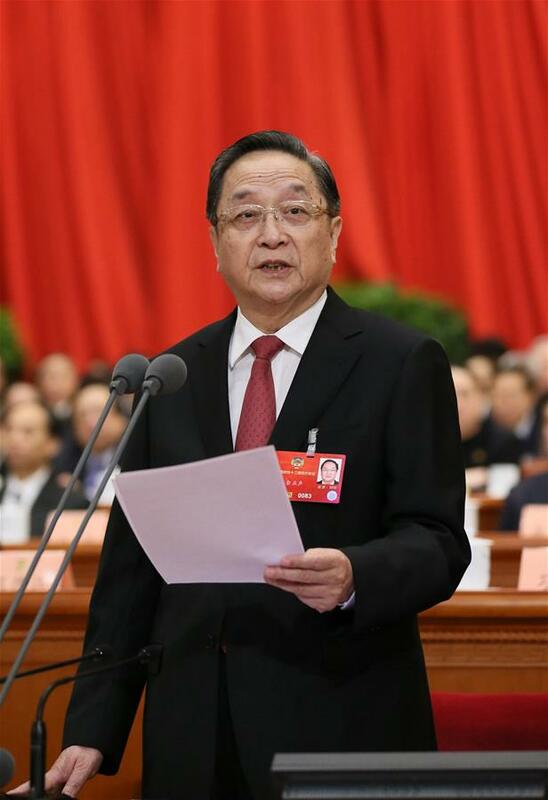 BEIJING - Chinese top political advisor Yu Zhengsheng underscored the Communist Party of China (CPC) leadership on Monday as the country "enters the home stretch" for its 2020 goal. Earlier this month, China unveiled a draft outline of the 13th Five-Year Plan on national economy and social development, which set average annual GDP growth target at above 6.5 percent from 2016 to 2020. The draft will be submitted to lawmakers for a vote on Wednesday. On Monday, the national political advisors approved a report on the work of the Standing Committee of the 12th CPPCC National Committee over the past year, and a report on the proposals submitted by CPPCC National Committee members to the annual session this year. A political resolution was also adopted at the meeting.